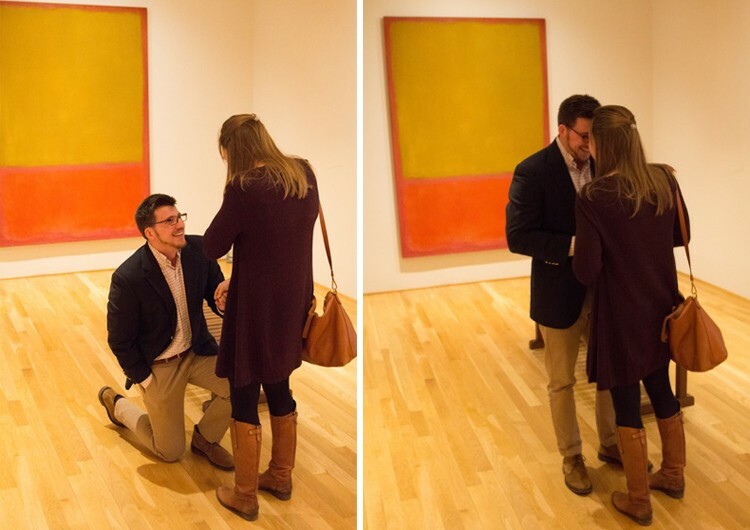 “When I started thinking about proposing to Catherine, I knew that I wanted to incorporate art into the proposal. Catherine moved to DC to study art history and to have the opportunity to intern in the district’s numerous art collections and museums. While in graduate school and while we were dating, one of these internships was with The Phillips Collection. 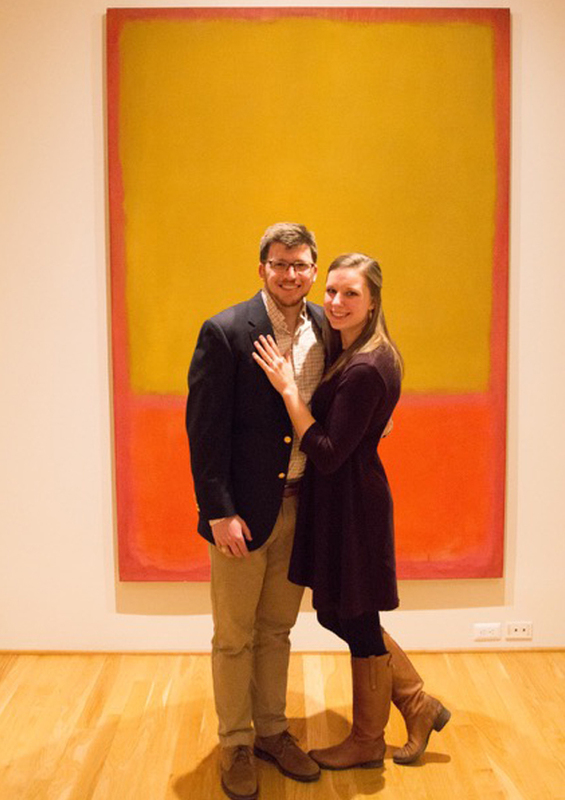 During this time, it became apparent how much the collection meant to her, specifically the Rothko Room. 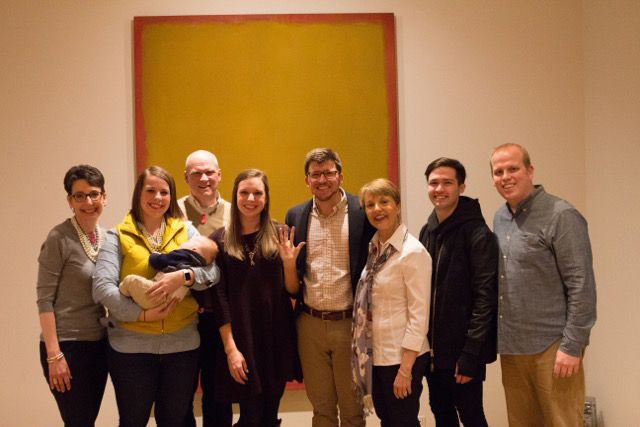 She had prints of the four pieces that hang in the Rothko Room on the walls of her apartment and, as a result, they were witness to a large portion of our relationship. With this in mind, I thought it would be special to share our big moment in front of the real paintings, in a collection that she loves. Do you have a Phillips love story? Send it to us at communications@phillipscollection.org.